An essential part of any metal collection. I was a big Queensrÿche fan in years gone by – an autographed copy of the 206 EP is still one of my prized possessions, I saw as many shows as I could, and I even established the band's UK fan club in 1985 or so. I only bring this up now to try and demonstrate how disappointed I was when 'Empire' was first released. After three monster albums culminating in the ground-breaking 'Operation: Mindcrime' I was expecting something huge, not an MTV-friendly pile of Val Doonigan inspired pap. The first play lasted just two songs – the synthesised horns of 'The Thin Line' finished it for me – and although I did finally get through the album, my opinion of it has never changed. So what made me splash out on the '20th Anniversary Edition'? The bonus disc, that's what, a live CD taken from the band's Hammersmith Odeon show in November 1990. Those with long memories will remember the 'Empire' tour. 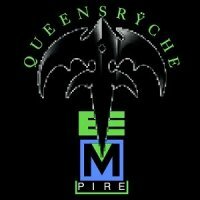 With support coming from Lynch Mob (the ex-Dokken guitarist's first solo band), for the first time Queensrÿche were playing 'Operation: Mindcrime' in its entirety, complete with Pamela Moore singing the role of Mary. The performance of the metal opera was book-ended with a selection of old and new material. The encores varied (according to notes taken by those in the fan club who were still talking to me!) but for the show at Hammersmith (which was recorded but never released at the time) the band pulled out all the stops and hit the crowd with everything they'd rehearsed. So what you get here is 55 minutes of exciting material from a band who were at the peak of their game at this time. (From memory, the first five songs – 'Resistance' through to 'The Thin Line' – preceded the main part of the evening's entertainment, with the rest coming after the band had been called back for more, but I'm happy to be corrected). The fact that seven of the tracks come from 'Empire' itself doesn't bother me as, ripped from the sterile atmosphere of the album itself, the songs soar to the heights in the live environment and come across as the punchy and exciting offerings that a better mix would have made them in the first place. It's the older material that still sounds the best though, and the haunting 'Walk In The Shadows', the triumphant 'Take Hold Of The Flame' and the grandiose 'Roads To Madness' (the eight-minute epic delivered with such ease and panache) pull no punches in their delivery. Three B-sides have been added to the main album to wrap things up for completists – 'Last Time In Paris', a pre-Leaves' Eyes 'Scarborough Fair' and 'Dirty Lil Secret', the two originals in particular easily being the equal to anything on the album itself. Hearing this live material reminded me of why I went head-over-heels for the band back in 1983 and, although I never thought I'd ever say it , 'Empire' – this version at least – is, to my mind, an essential part of any metal collection.